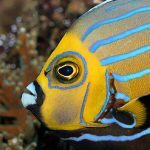 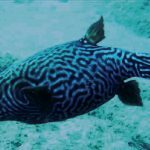 The collectors at Dynasty Marine might very well have stumbled upon the first record of hybridization among the deepwater basslets in the genus Liopropoma. 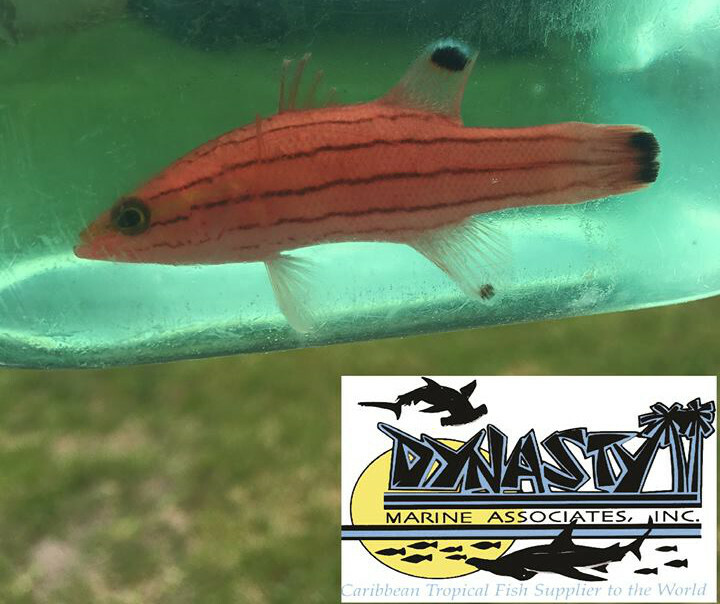 The fish seen here combines an interesting mix of traits found in two closely related species from South Florida, the Swissguard Basslet (L. rubre) and the Cave Basslet (L. mowbrayi). 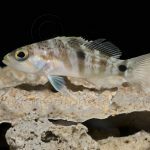 The overall effect is actually surprisingly similar to one of the Indo-Pacific cousins in this group, Collette’s Basslet (L. colletti), which likewise has a number of thin dark stripes running along the body and a reddish tone throughout. 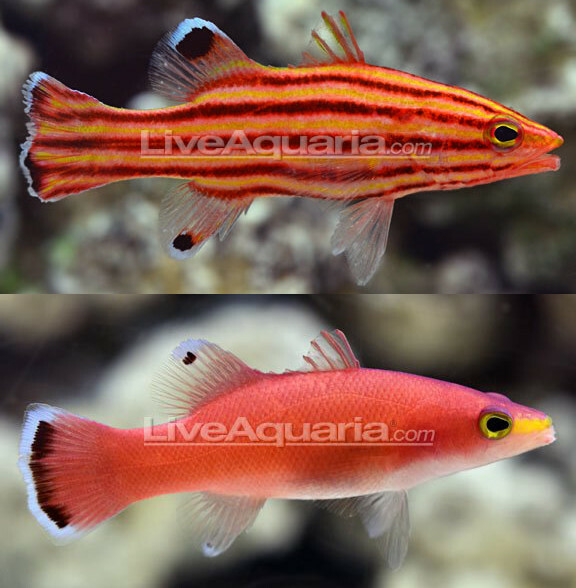 In our purported hybrid, we see a muted pink coloration that suggests the presence of L. mowbrayi, alongside the obvious stripes of L. rubre. 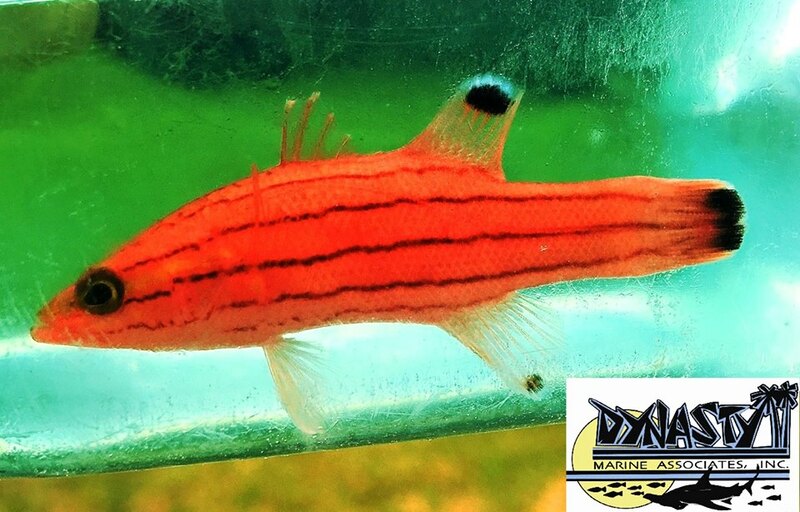 However, it’s always a bit presumptuous to conclude that a single aberrant specimen is inherently a hybrid, as it could well be that this is merely a full-blooded Swissguard Basslet with some unusual mutations. 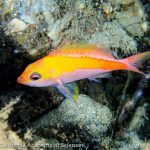 Aside from the somewhat redder than normal colors of this individual, there’s not much else to actually suggest genetic input from L. mowbrayi, such as the yellow nasal stripe or the slight purplish color above the head that we see in that fish.